Do you know that if you [CONFIRM DELIVERY] and post a review at the same time, you'll be entitled to 1 Q-Stamp? 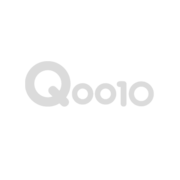 Q-Stamp can be used during Qoo10 events. So what are you waiting for? Confirm your delivery and post a review NOW! Item received in good condition. Haven't try it n hope it can work on me. Items received intact. Good buy. Size just nice for use during travelling. Delivery was fast.. received 2nd day from order. Product took nearly three weeks to arrive! This is my 2nd purchase, love the sleeping mask so much! This time try the lavender series. It is a gel like lotion and quite moisturizing for my skin. thank you for your fast delivered, received in good condition. Small trial size good for traveling. Item received in good condition. Fast delivery, will order from this seller again. Can mix with lavender and orginal , 2 each ? Hi how do I buy waterbank trial kit? When is expiry date for blue water sleeping masks 15ml x4 and lavender water sleeping masks 15ml x4? Hi, listing stated free shipping but shipping fee $2.99? we will edit the title. Hi, I placed an order #258115757 dated 23 May, but have yet to receive it to date. Please check & advise. Thanks. Sometimes Singpost delay dispatch of parcels, due to high volume parcels. Please allow us to check our mailbox for return parcel and send out them immediately if we receive any.